Hawes Water, Gait Barrows, Cringlebarrow and Leighton Moss. Start. Leighton Moss Visitors Centre. Route. Visitors Centre - The Trough - Trowbarrow - Red Bridge - Hawes Water - Gait Barrows - Yealand Storrs - Cringlebarrow Wood - Leighton Moss - Visitors Centre. Notes. 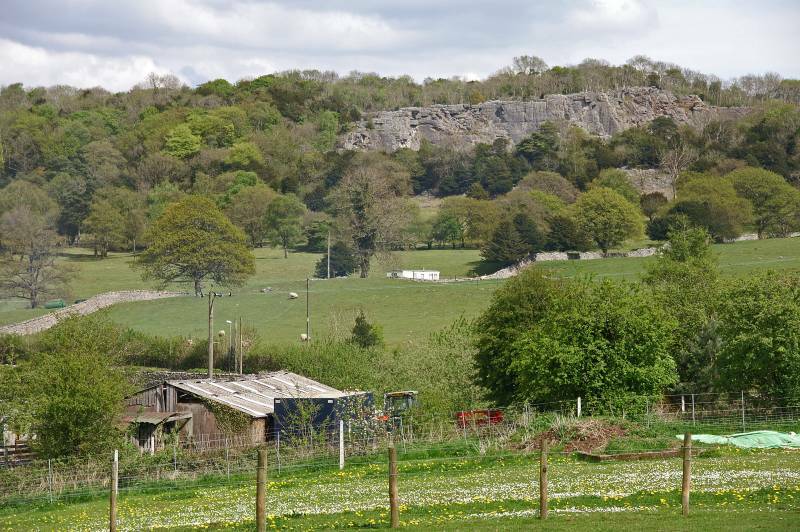 This was a delightful little walk, at just under seven miles it encompassesd no less than three nature reserves, including some wonderful limestone scenery. 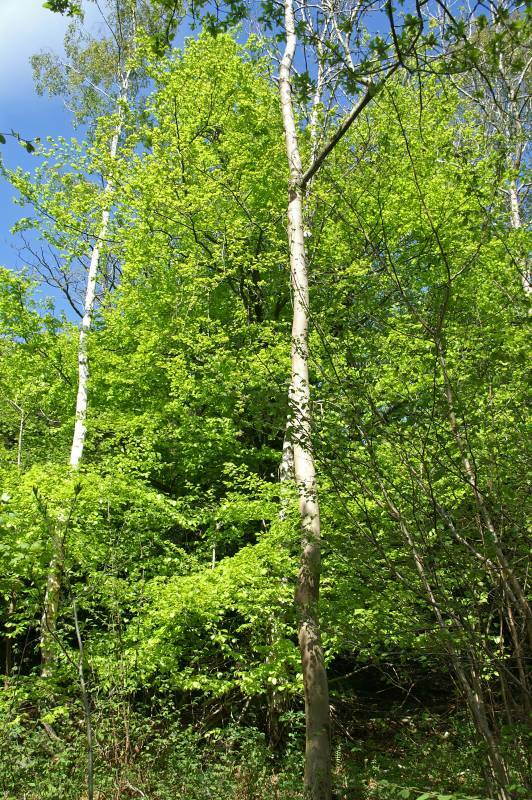 At this time of year as spring turns to summer woodland is always a good place to visit, with that in mind we extended the walk through Cringlebarrow Wood. 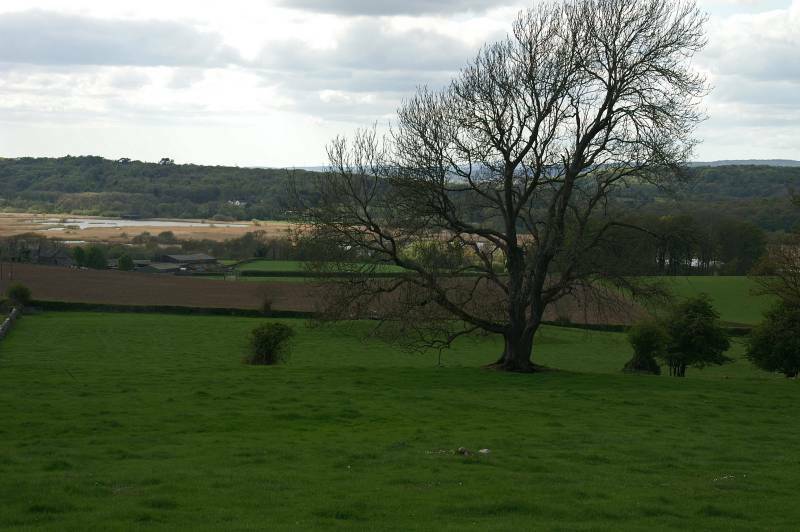 If you prefer open spaces cut across the fields from Yealand Storrs there are some splendid views over Leighton Moss. I was not on my own today, Sue's accompanying me with her camera, she felt the need to photograph Bluebells. 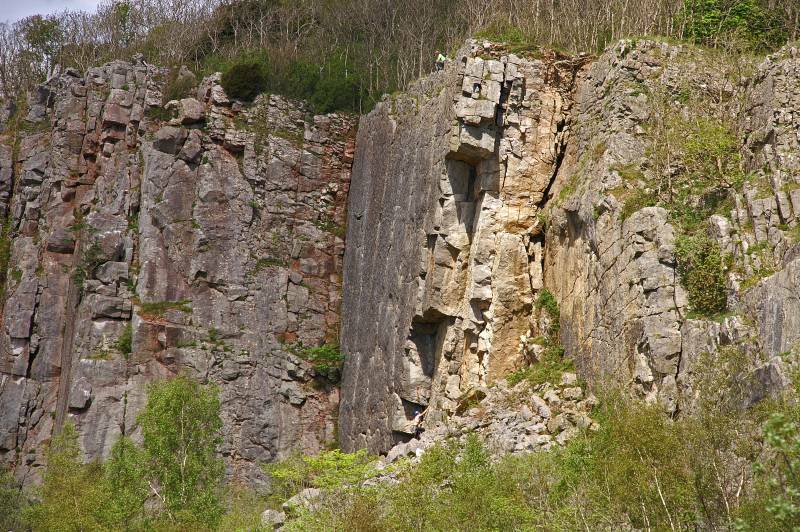 We left the visitors centre heading north up Storrs Lane, after five hundred yards a finger-post invited us to Trowbarrow via The Trough, this completely natural fault line makes a great entrance to the quarry. 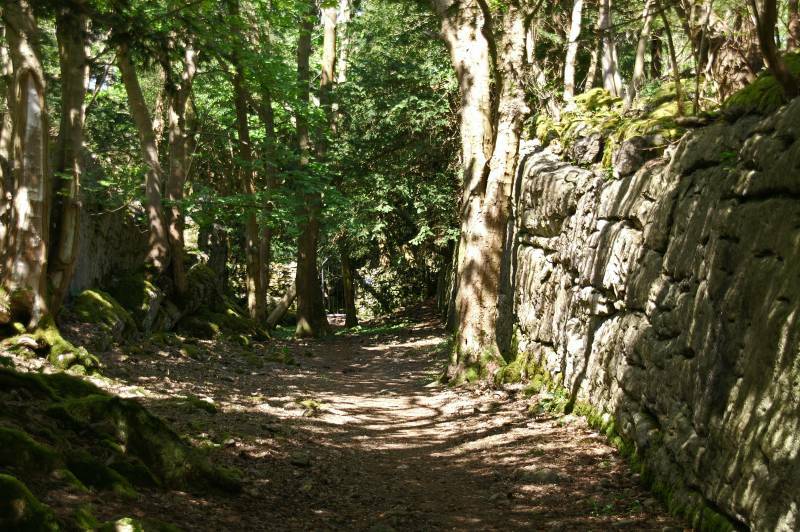 We left Trowbarrow via the remains of the lime works crossing the railway line at Red Bridge. By quiet roads and field paths we made our way to Gait Barrows before ascending the fields to the east of the nature reserve. 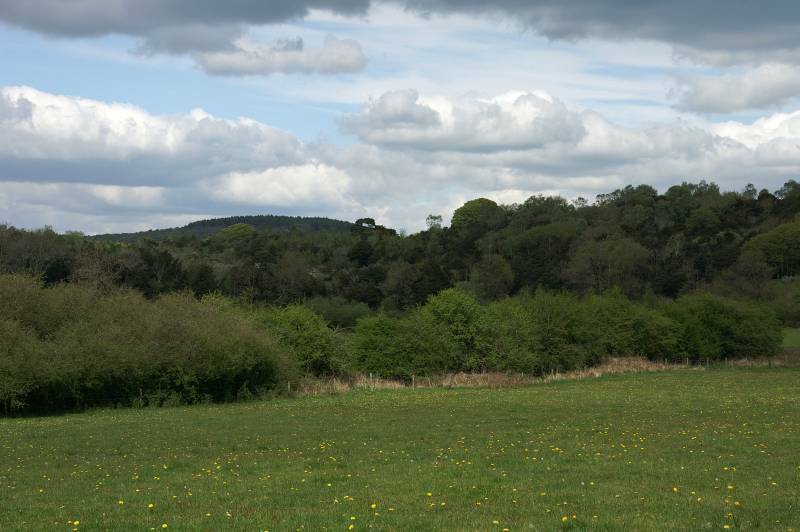 Our route entered Yealand Hall Allotment, the woodland's been thinned to encourage Butterflies, the path lead to Yealand Storrs. 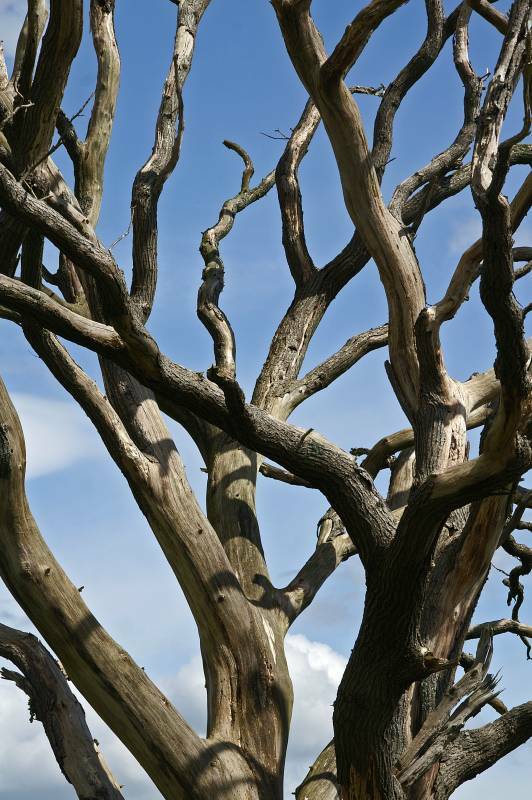 It was time for a decision, should we wander through fields or woodland? In the event Sue and the woodland path won, no contest, we ascended the road to enter Cringlebarrow Wood. Striding out on a wonderful woodland path, winding our way south before a finger-post pointed down hill announcing, that this was the way to Leighton Hall. 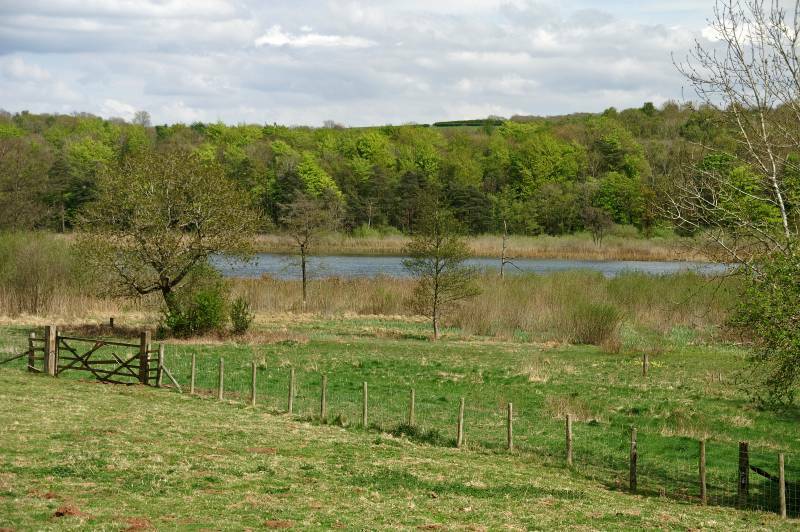 We descended to access a tarmac lane leading to Leighton Moss, what always seems like a long walk across the causeway, passing the Public Hide before reaching Storrs Lane, from there we retraced our steps via the Visitors Centre tea room. 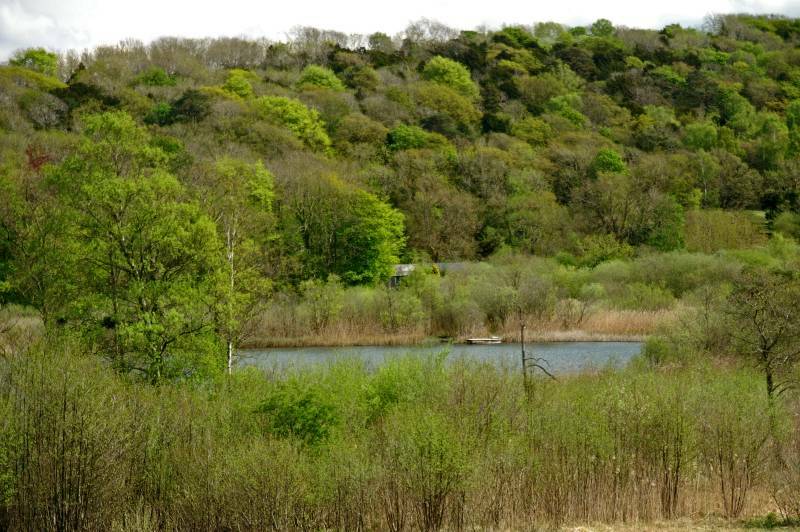 Viewing the mixed woodland of Grisedale across Leighton Moss. The Trough, a perfect curtain raiser to Trowbarrow. 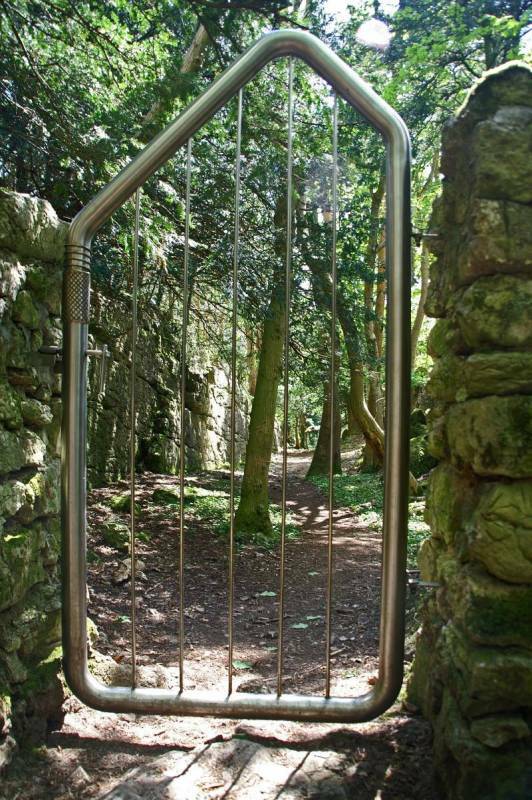 Marking the entrance to Trowbarrow, The Mabson memorial gate, I think I'd be right in presuming Mabson was a mountaineer as the gate is designed to replicate a carabiner. 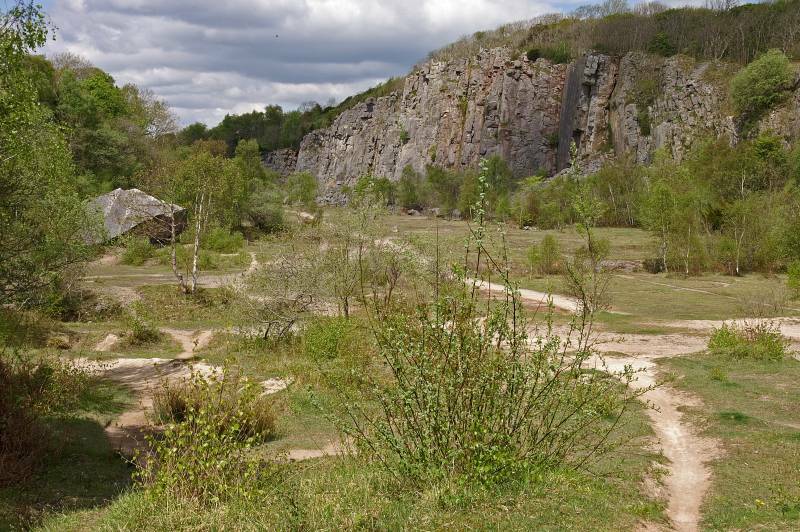 Trowbarrow Quarry, to the left the Shelter Stone. Climbers ascend the Gene Genie Face, the first wave of climbers to ascend these quary walls must have been fans of David Bowie, all the first ascents are named after Bowie songs, any one fancy attempting A Lad Insane Route?. 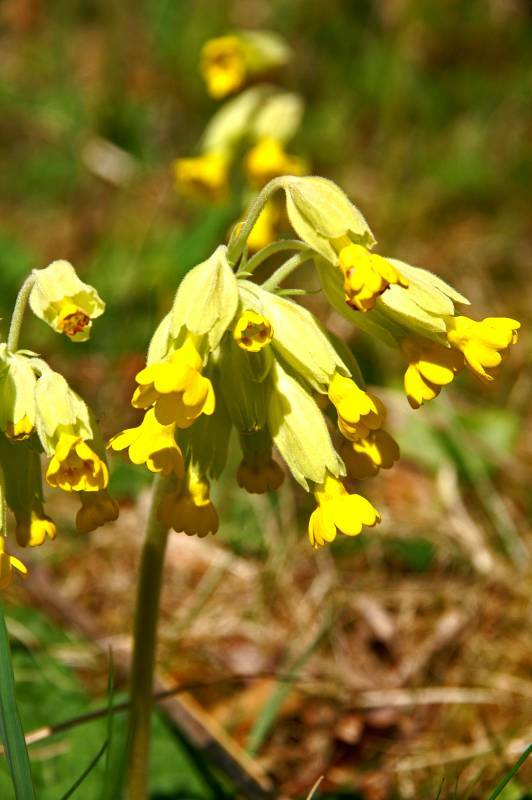 Not quite in full bloom, Cowslips at Trowbarrow. Near Red Bridge looking to the face of Trowbarrow Quarry. Hawes Water seen from near Challan Hall. Blue sky through the upper branches of a bleached Elm. Wonderful shades of green across Hawes Water. 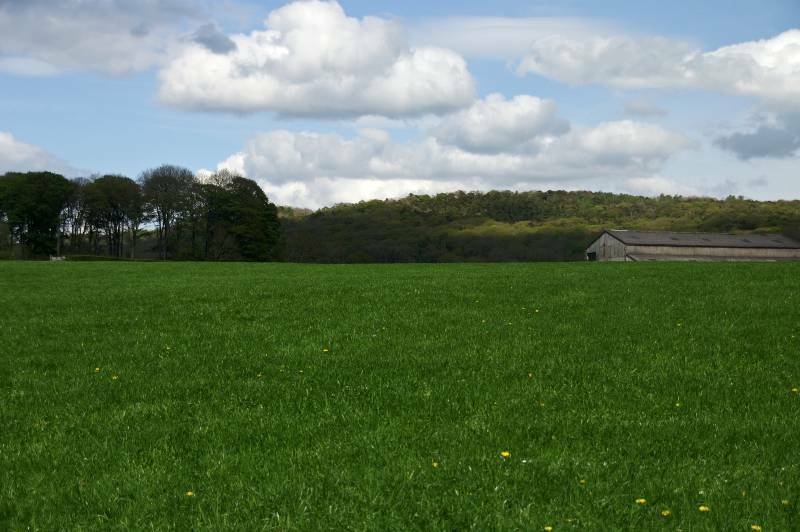 Ascending the pastures to the east of Gait Barrows. 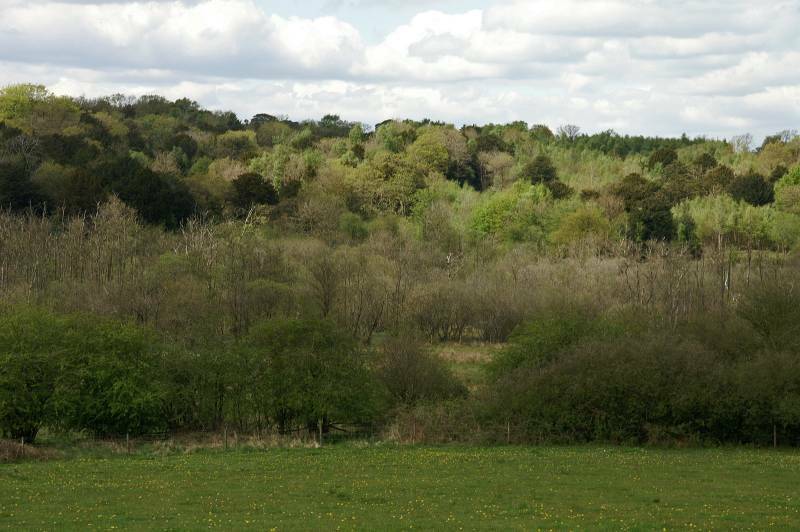 Looking down on Gait Barrows Nature Reserve. 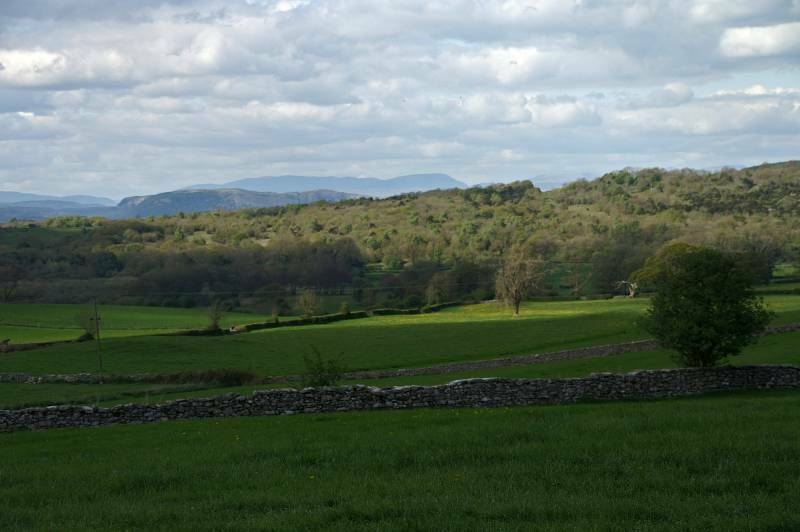 Further up the field the blur/grey hills of Lakeland tilt into view. 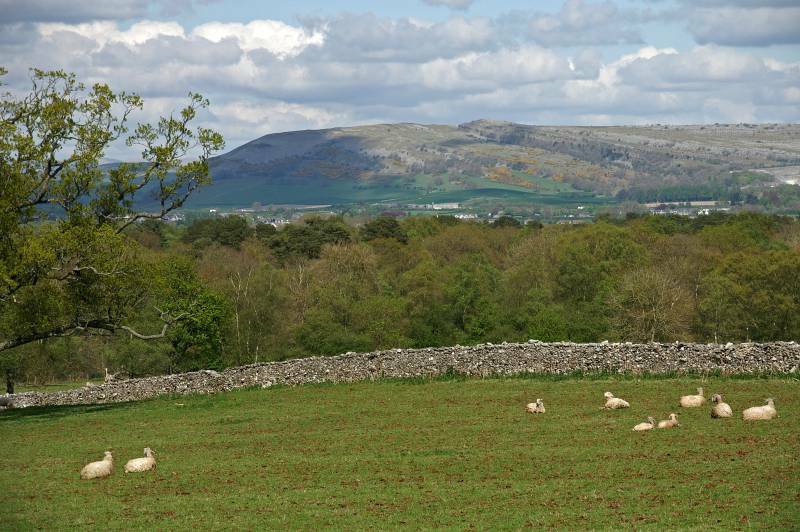 Above Yealand Storrs, a quick look to Farleton Fell before entering Cringlebarrow Wood. 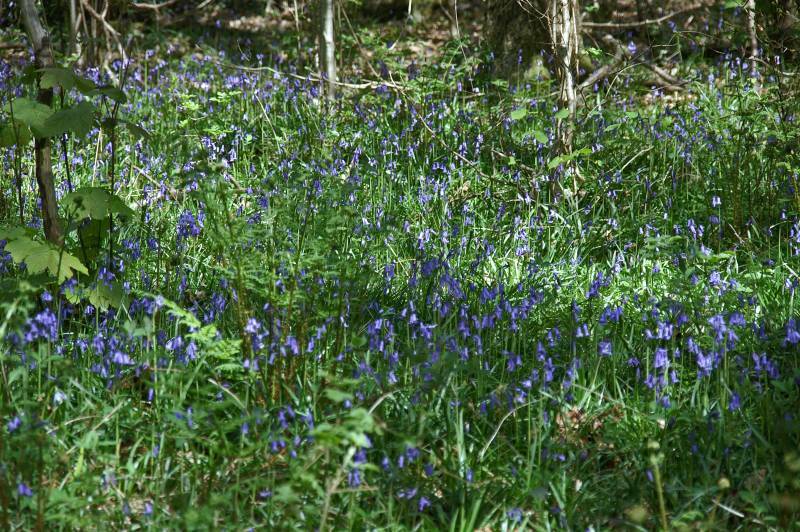 Bluebells carpet the woodland floor. Wonderful fresh green foliage of a young Beech Tree. 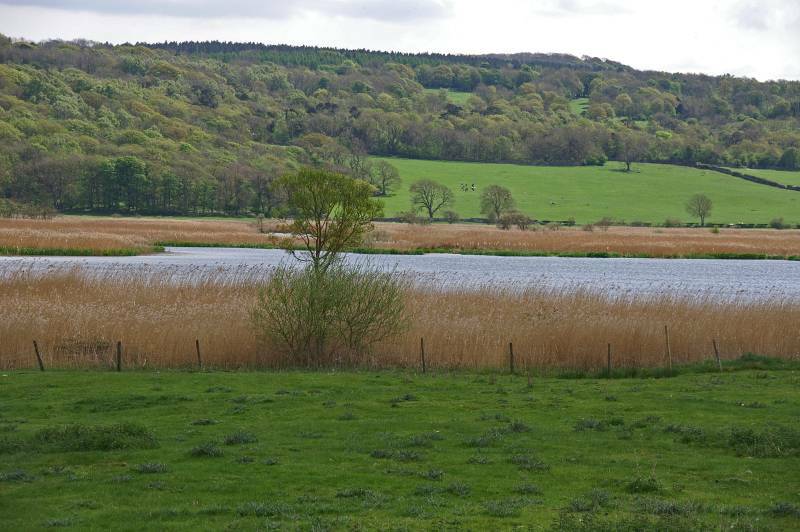 Leighton Moss seen from near Leighton Hall Home Farm. 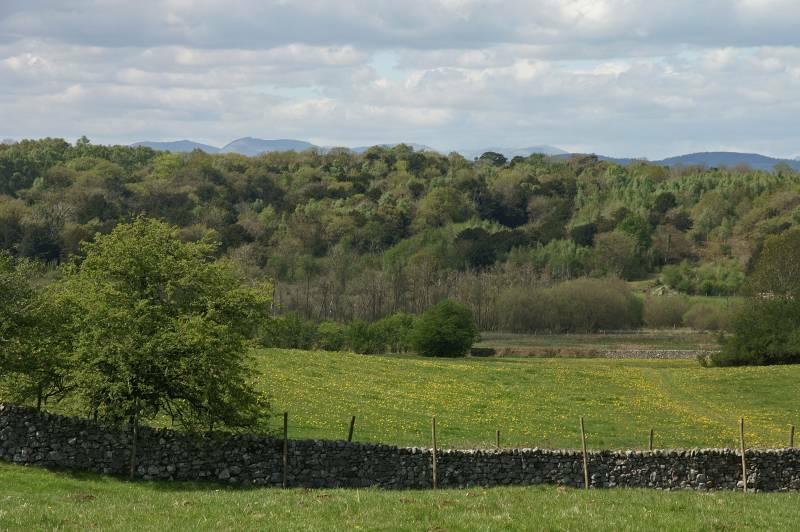 Seen from the lane to Leighton Moss, Cringlebarrow Wood with the hills of South Lakeland on the skyline. From the fields below Grisedale Farm views to Cringlebarrow Wood.